Cressi was founded in 1946 by two Italian brothers Egidio and Nanni Cressi and it is now the oldest and one of the most respected underwater diving companies in the world. The company has long been a leader when it comes to groundbreaking technology for diving and they now manufacture a wide range of diving equipment including wetsuits, dive computers, BCDs and masks. Being so renowned it may seem like Cressi could do no wrong however we at Extreme Sports X still like to make sure we give everything a fair review so let’s take a look at what we found when we evaluated the Cressi Shorty Men’s 1mm Wetsuit. 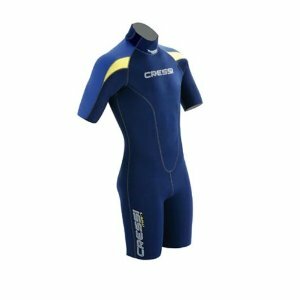 This Cressi Shorty Men’s Wetsuit is double lined and made of 1mm nylon neoprene. It’s perfect for tropical waters and various water activities like swimming, diving and snorkeling which require some protection from the sun, wind, and cold. The wetsuit fits firmly but still allows users to perform at high levels during water sports. Like other Cressi Wetsuits, it provides warmth for the regions of the body that it covers. With this particular model, the warmth is preserved in the core region. The Cressi Shorty Men’s Wetsuit has a heavy-duty YKK rear zipper, which makes it easy to get in and out of. There’s an adjustable Velcro closure to fit multiple sizes and it assists in decreasing water leakage. The wetsuit boasts of different colors which is suitable for those consumers who like a variety. 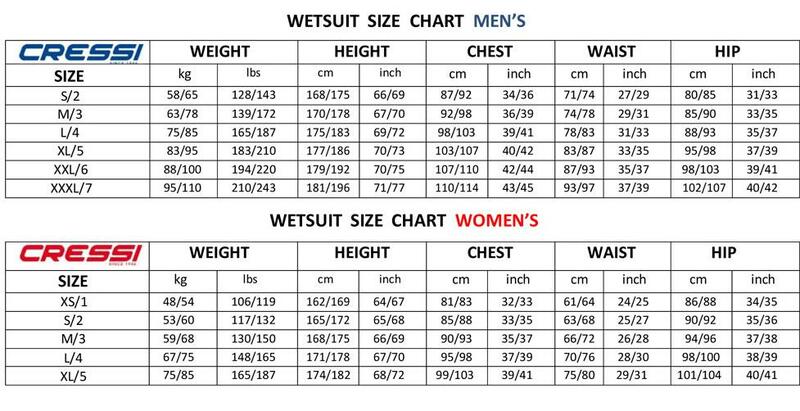 The wetsuit also ranges in sizes from small to double extra large. The Cressi Shorty Men’s Wetsuit dries quickly provided you follow Cressi’s recommendations on how to clean and dry the wetsuit. Additionally, the small size makes it easier to pack or transport if you are traveling. This thin suit can also be worn under full length suits for extra protection if needed. However, it’s not designed for colder waters or for activities that might require a full length suit. This suit does not cover arms and legs. It also might not be suitable for night time water activities when water temperatures drop. Perhaps the most impressive item of importance about Cressi Shorty Men’s Wetsuit is its price. Amazon.com boasts of prices as low as $45. If you are in the market for a small wetsuit to use in warm waters then this is the suit for you. The freedom to move your arms and legs without any restrictions is perfect for water sports like swimming, surfing, polo and more. Some customers even use it during water aerobics classes or any physical therapy that involves the use of an indoor or outdoor swimming pool. With the variety of colors and sizes, this wetsuit is a great buy and another great item in the line of Cressi wetsuits. This entry was posted in Cressi, Cressi, Reviews, Scuba Diving, Surfing, Wetsuits, Wetsuits and tagged Cressi, Wetsuit. Bookmark the permalink.